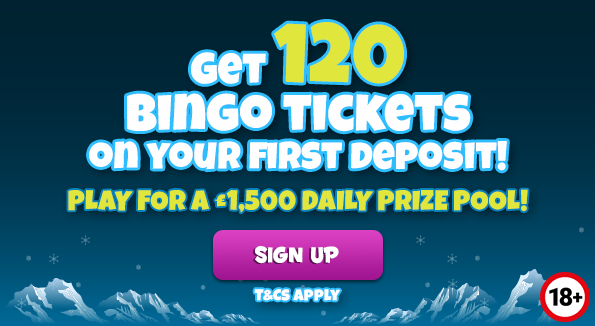 Frozen Bingo | Coolest Bingo Jackpots | Get 120 Bingo Tickets on your first deposit! Welcome to Frozen Bingo – the only online Bingo community that features wins and prizes so big they send chills down your spine! Here to help you break the ice is Sticks the Snowman, a cool mascot who loves giving warm welcomes - even if they make him melt a little on the inside! Stay close to Sticks and you’ll discover a flurry of thrilling games and huge wins! 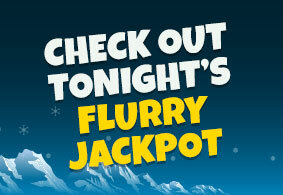 There’s a Jackpot game running every day where you can win Diamonds, Frozen Points and hard, cold cash! 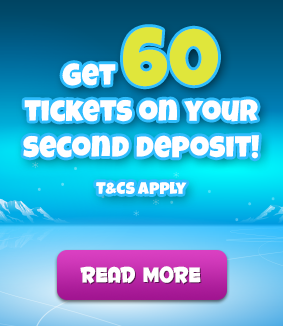 Frozen Bingo brings you EXCITING BINGO games all day, every day! Sticks has games playing every 2-3 minutes, offering up bonus cash and real cash prizes to his luckiest roomies! And, don’t forget the cutest 1p Penguins are here to give you cash for pennies and do the victory dance!